College football is just around the corner -- we’re less than six weeks away from the Gophers’ season opener on Aug. 30. So, with that in mind, I’ll take a look at Minnesota’s 12 opponents by asking five questions to a beat writer covering that team. Today’s installment is Game 3, Miami (Ohio). 1. Miami returns eight starters on both offense and defense. How much optimism is there for the RedHawks entering the season after last year’s 5-7 finish? 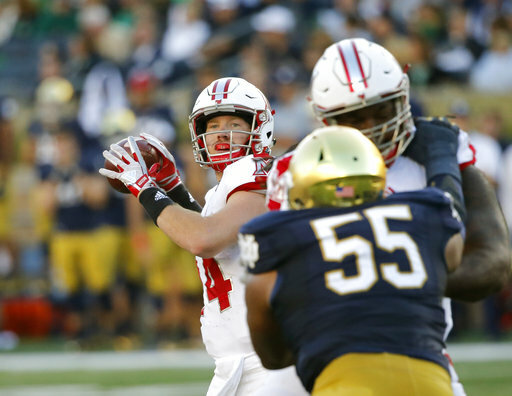 There's optimism particularly about some of Miami's offensive weapons, but there was optimism entering last season as well (MU was expected to contend for a MAC East title) before the team ultimately disappointed. Receiver James Gardner gives them good reason to be optimistic after 927 yards and 11 touchdowns last season. Gardner was first-team all-conference and is considered an NFL draft prospect. Gus Ragland is an experienced starting quarterback who has shown flashes of brilliance and strong ability to improvise/scramble. Running backs Kenny Young and Alonzo Smith bring additional excitement to the offense. Miami's experience at offensive line also gives the RedHawks a great reason to like their chances -- with five returning starters led by left tackle Jordan Rigg and center Danny Godlevske, who was named to the Rimington Spring Watch List. There's also experience throughout Miami's defensive line and linebackers -- led by leading tackler Brad Koenig. There's less experience, however, in MU's secondary. 2. The RedHawks struggled in tight games last year, going 0-5 in games decided by one possession. What is the key to reversing that trend? Decision-making and execution. Ragland has looked very sharp at times and in 2016-17 returned from injury with MU 0-6 and sparked an improbable winning streak and bowl appearance (and the RedHawks actually should have beaten Mississippi State in their bowl game but lost by a point). MU became the first team in FBS history to start the regular season 0–6 and finish the regular season at 6–6, largely because of Ragland's 17 touchdown passes and only one interception. But Ragland's magic touch was less consistent last season, and perhaps the most heartbreaking of the five games MU lost by one possession was a 21-17 loss to Cincinnati. It's a nonconference regional rivalry played annually that dates to 1888, and Miami looked finally ready to beat Cincinnati -- after 11 straight losses in the rivalry -- leading 17-6 in the fourth quarter and 17-14 with less than 3 minutes left. But an ill-advised return out of the end zone put MU at its own 5, and three plays later, Ragland threw a pick-six with 1:42 left. The RedHawks will benefit from sound execution late in games to reverse the trend. 3. Will Ragland keep the starting quarterback job over Michigan graduate transfer Alex Malzone? I'd have to think it's Ragland's job as long as he stays healthy and doesn't struggle. I guess you never know. Someone must've encouraged Malzone that MU would be a great opportunity for him to engage in healthy competition. But Ragland has a lot of experience despite injuries and has endeared himself to fans by bouncing back from injuries, including an ACL. I'd be surprised if he's benched, barring a very slow start to the season. The experienced offensive line consistently wins its battles, creating opportunities for Young, Smith and Ragland to run and for Ragland to get the ball to Gardner. That said, it's tough to love the RedHawks' chances given their recent track record against the Big Ten and/or ranked teams: a 52-17 loss at No. 22 Notre Dame last season; a 45-21 loss at No. 17 Iowa in 2016; a 58-0 loss at Wisconsin in 2015; a 34-10 loss at Michigan in 2014; a 50-14 loss at Illinois in 2013; a 56-10 loss at Ohio State in 2012, etc. The Golden Gophers can take advantage of a less experienced Miami secondary. The RedHawks will have a tough time replacing Tony Reid and Heath Harding. Harding was among the MAC's top defensive players and signed a free-agent deal with the Atlanta Falcons just after the draft. In addition, if Minnesota can neutralize the MU rushing attack and focus on shutting down Gardner, there's not much experience in the receiving corps beyond Gardner.